An e-commerce platform is a comprehensive software tool that allows merchants to build and manage a digital storefront for their products or services. Because e-commerce platforms create a centralized, digital hub for product and customer data, they allow e-commerce businesses to do things like customize product information, manage web content and layout, allow online transactions to occur, and adjust the platform according to businesses’ online needs. E-commerce platforms unify, scale, and maintain core business processes like the front-facing selling of products and services, and the back-end functions of managing inventory and customer order history. Depending on business need, security, and potential for growth, an e-commerce platform can be either open source or proprietary, and implemented either on-premises or in the cloud. E-commerce platforms generally integrate with catalog management software, subscription management software, inventory management software, CRM software, and ERP systems. E-Commerce Platforms reviews by real, verified users. Find unbiased ratings on user satisfaction, features, and price based on the most reviews available anywhere. Selz is a simple eCommerce platform that enables you to create online stores, sell from existing websites, or sell through social networks. 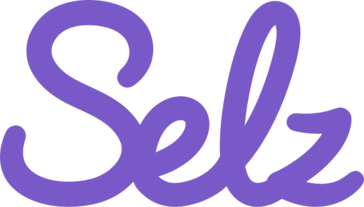 Selz gives you all the tools you need to build your online presence, sell your products, market to your customers and track sales. Selz is ideal for individuals and small businesses who want to sell physical products, digital products and services. To find out more visit www.selz.com. Shopping Cart Elite is a solid shopping cart platform for serious eCommerce businesses. Solidus is an open source e-commerce platform built with Ruby on Rails from the Spree platform. 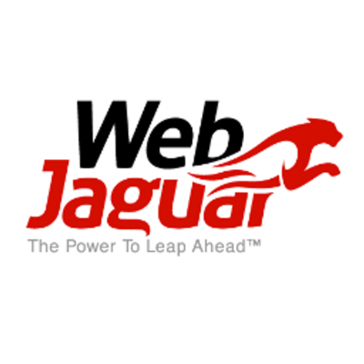 WebJaguar provides a robust B2C feature-set that allows you to thrive as a retailer in a demanding and competitive e-commerce environment. Get yourself a virtual presence through an app and a website. Fully responsive and customizable website and dashboard. Akilae is a publisher of multi-channel CRM / ERP software marketed in software-as-a-service mode for BtoB and BtoC trading and trading companies. All-in-One Designer is a complete web-to-print storefront software to help you leverage technology, people and processes for multi-fold growth of your printing business. Its an ideal choice for commercial printers, in-plants, print brokers and distributors, digital and wide format printers as well as specialty printers to take their business online. AppDirect is a platform for selling, distributing, and managing cloud-based products and services. Arastta is the next generation of eCommerce software built with modern technologies. It is Free and Open Source. Blueport is a furniture e-commerce platform that offers online marketing & merchandising to helps retailers to sell furniture online. Cloud Commerce Pro is a Cloud-based ERP and Multi-channel listing platform to manage back-office tasks - Order Management, Stock Control, Despatch, and CRM. Course Merchant is an e-commerce application, or shopping cart, designed to integrate with Moodle, Totara, Brightspace by D2L, Kallidus, Moodlerooms and other LMS e-learning systems to provide automated student enrollment upon online payment and/or registration. CS-Cart Enterprise is a cloud-based ecommerce platform integrated with Salesforce. CS-Cart Enterprise is based on the software core of CS-Cart, downloadable ecommerce software powering 35,000 web stores in 170 countries of the world. Out-of-the-box integration with Salesforce enables the two systems, Salesforce CRM and CS-Cart Enterprise ecommerce platform, to exchange data on orders, prices, products and customers in close-to-realtime mode. Documoto is an SaaS parts catalog authoring and eCommerce platform designed to increase manufacturer aftermarket parts sales. e-comDrive is a fully integrated back-office system that is designed and developed for the web retailer that offers the visibility and functionality required to manage and grow an e-commerce business within one system. EFI Digital StoreFront is a eCommerce solution developed specifically for the needs of commercial printers, in-plant print service xenters, publishers and marketing agencies. EKM is the UK's most popular ecommerce platform, it's everything you need to create a successful online shop. Your online shop continuously improves thanks to our unique Evolution Mode. With UK support and your own dedicated Account Manager to get you setup, EKM is the quickest and easiest way to sell your products online. Epicor Commerce Connect helps to grow your business with deep integration and combines the productivity of Cloud, mobility, eCommerce. Fortune3 shopping cart solution builds in all the attributes that make creating and managing a professional website simple and effective. OrderCloud.io is an API-first eCommerce platform for developers. Solve complex B2B eCommerce and order management challenges with our cloud-based, RESTful API. Build and deploy custom apps faster, easier and at a lower cost. Sign up free and start building today. Gito.me provides an integrated e-commerce and omni-commerce platform that can easily accommodate various business models of merchants looking to establish an online business. The supported business models are : Retailer, Marketplace, Wholesale distribution. Gumroad enables its members to sell their products directly to their customers by connecting both parties. Start accepting credit cards online today with Heartland’s safe, transparent solution designed to increase shopper conversions, encourage repeat purchases, and minimize the total cost of payment acceptance. The Helcim Payment Gateway is a feature included with the Helcim Virtual Terminal. As a total payment processing platform, the Virtual Terminal allows users to incorporate all aspects of CRM with payment systems. No longer are business owners losing resources downloading and installing plugins for functionality. The Helcim Virtual Terminal provides a payment gateway to facilitate payments, and a cloud-based back end that ensures merchants have a history of payments, tokenized customer credit card payment information, email invoices, automatic bank deposits, automatic receipts, customization payment pages and more. iZettle provides a mobile point of sale (POS) solution to allow users to accept card payments via their smartphone or tablet. The usage-based pricing model has a sliding scale of transaction fees, which decrease as monthly sales increase. J2Store is a flexible shopping cart and ecommerce solution for Joomla. JetCommerce.io is a full service commerce platform for merchandising, customer service and marketing. Kyozou provides a cloud based end-to-end ecommerce inventory management solutions for online sellers that integrate to online marketplaces like ebay, Amazon and Newegg and automates the online selling process. Liftoff is a cloud-based eCommerce selling, shipping, and site content management solution for B2B and B2C sellers. The platform allows users to set up their own custom company store or retail site, without requiring any coding or website building experience. Liftoff offers a range of website templates and themes which users can customize with their company logo, color schemes, and fonts. Template HTML and CSS can also be modified, giving users greater control over store customization. The Liftoff dashboard allows users to manage site content, products, users, and discounts, and configure metrics, analytics, and ERP integrations in a single interface. Stores can be given custom domain names, custom SSL certificates are supported, and users can also add blogs, news feeds, and other data-driven content to their site. For payment processing, Liftoff supports multiple payment gateways, including PayPal, Authorize.Net, Payflow Pro and PayTrace. Purchase orders are also supported, and users can control customer credit, discounts, gift cards, and more. Inventory levels are updated automatically with every sale, and users are alerted when inventory drops below specified levels. Taxes are automatically calculated, and automatic shipment rating for both UPS and USPS is supported, for domestic and international shipments. The ordering process can be customized using workflow rules to manage customer messaging, hold orders for approval, and more. ModusLink Global Solutions is designed to integrate e-commerce and forward/reverse logistics globally for companies, overcoming the logistics challenges that inhibit growth and customer responsiveness, helping the customer brand experience. Online Auction System For Magento 2 Store. An Online Auction System is a system where potential buyers place competitive bids on assets and services. The asset or service in question will sell to the party that places the highest bid. Overture helps you meet the omni-channel demands with an enterprise e-commerce platform. OrderCloud.io is an API-first eCommerce platform for developers that solve complex B2B eCommerce and order management challenges, eCommerce data and infrastructure are available in the cloud as building blocks via RESTful API to create best-of-breed apps that easily integrate with back-end systems and 3rd-party microservices. We believe the future is mobile. We’ve built the first partnerships platform made for mobile’s unique challenges, driving commerce for today’s leading brands and helping top publishers earn revenue. Button powers mobile partnerships that are faster, simpler, and perform better for brands like Foursquare, Uber, Hotels.com Walmart/Jet.com, eBay, Groupon, and more. Mobile is hard, we make it easy. Payvision is a global acquiring network that connects banks, PSPs, ISOs and their merchants. Simplify the process of booking equipment by integrating a self-service equipment booking system on your website. With the equipment rental software you can manage equipment inventory and clients with ease; eliminate the risk of double bookings and improve conversion rate. Premmerce offers hosted and custom eCommerce management packages that focus on empowering online business growth internationally. RevenueWire provides a combined performance marketing, partner management and payment processing platform to businesses looking to promote their products and services across web, mobile and social media channels through a global network of multi-lingual performance marketers. RevenueWire’s network of performance marketers have access to a dynamic catalog of high-converting, high-paying international CPA and CPS offers from global advertisers across multiple verticals. While there are hundreds (maybe thousands) of products that provide features for online sales, not all of them are e-commerce platforms. The basic e-commerce tools are usually known as shopping cart software, and their functions are limited to creating the online store, adding products, and embedding the shopping cart on a website. Standard themes and online store personalization allow companies to customize their online sales portals. Payment gateway or out-of-the-box integrations with payment providers eliminate the need for companies to need to work with third-party providers for payments. Fraud protection may include SSL certificates and other security measures to protect the company and its customers. Multichannel sales allow companies to sell on other channels than their websites, such as social media or email. Global, multi-country, multi-language, and multi-currency features are critical for companies that sell products in different countries. Product information management allows companies to manage and keep all the details about their products up to date, such as description, price, and characteristics (size, color, weight). Marketing functionality such as A/B testing and SEO help companies promote their online stores so that consumers can find their products or services. Web content management helps companies convince potential consumers to buy their products and services. Shipping is an essential feature for online, sales and e-commerce platforms allow users to choose how and when the products will be shipped. Customer service is critical for aftersales to address issues, avoid returns, and keep customers happy. These are the most common features of e-commerce platforms, but some products may include other types of functionality, which will be described below. E-commerce platforms are most beneficial to medium and large companies who sell their products or services in multiple countries or markets and have complex operations. All the features described above may not be necessary for small businesses, but medium-sized companies will need some of them. Using all this information, companies can adjust their strategy to adapt to changing customer preferences and focus on markets and segments that are more likely to generate important revenues and sustainable profits. Since e-commerce platforms provide the most extensive features in the market, this type of software can be used by a variety of employees, customers, and partners. Partners may sell their products and services on the e-commerce platform of a company or their online stores. Partners can also use platforms like Amazon, so they need to synchronize data between these platforms and e-commerce platforms. Suppliers usually provide products and services to other companies and do not sell them directly to consumers. They need access to e-commerce platforms to provide product information and inventory availability. Distributors buy products from other companies and sell them online. They may sell these products on their online store or platforms like Amazon and eBay. Retailers combine in-store and online sales to target multiple segments of customers or consumers. For this purpose, they need to integrate e-commerce with POS or retail management software. Traditionally, businesses sell products and services to two separate categories of customers: businesses and consumers. These two types of customers can be covered by companies that sell to both, usually known as business-to-many (B2M). A recent approach to attract more customers involves partnerships between businesses to expand their market presence, or business-to-business-to-consumer (B2B2C). By using this approach, companies can promote each other and cross-sell products and services to reach new market segments. 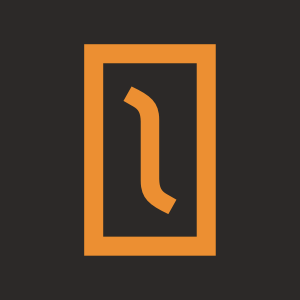 Check out — functionality is critical to finalize the online transaction and place an order. If consumers and customers are having a hard time during check out, they may abandon the purchase and not try again. Online payments – ensure that the buyer paid for the products and services purchased and the company receives the payment. The accuracy of payments is vital to avoid adjustments, and payment gateways should provide sales tax functionality for multiple countries and regions. Additional e-commerce platforms features can be delivered as part of a package or separately as add-ons or separate solutions. Here are some of the most important additional features that help companies optimize the use of e-commerce platforms. E-merchandising software — combines product marketing and merchandising to provide potential buyers with information and purchase flows that make it easier for them to buy online. E-merchandising can also improve the buyer experience, which translates into consumer loyalty. Product reviews software – allows buyers to provide feedback on the products and services they bought and used. Reviews help merchants track customer satisfaction and enable buyers to evaluate a product before purchasing. Subscription management software – usually includes subscription billing and subscription revenue management. The evolution of e-commerce platforms will be impacted by new technologies, such as artificial intelligence (AI), and changes in consumer behavior. Artificial Intelligence (AI) can be used to personalize the buyer experience or to create bots that can guide buyers through the purchasing process. AI may also help identify fraudulent activity and cyber attacks that can lead to lost revenue and data breaches. Subscription management usually refers to services and software, but some companies also use this sales model for products. A few examples of products sold as a subscription are grooming products or beauty supplies, which are used on a regular basis by consumers. The lack of integration between e-commerce software and other solutions can be a critical issue which can cause mis-synchronization of data between online stores and the back office. This, in turn, may lead to lost sales and unhappy consumers. Product Information Management (PIM) software is a standalone, more sophisticated version of the product management functionality described above. While most e-commerce platforms provide features for product information management, PIM is used by companies selling tens of thousands of products or variations and combinations of items. Fraud protection software is increasingly important for e-commerce, because online threats are getting too important to ignore. Companies using e-commerce platforms leverage this type of software to protect themselves, but also their customers, from online fraud. Related services can vary from the development of custom software to consulting services to define or improve online sales strategies. Most software development providers focus on one or more e-commerce platforms such as Drupal or WordPress. Other e-commerce development companies may take a more generic approach to the development of e-commerce stores or mobile apps. G2 Crowd Ontario Gridscape: Which Business Tech Companies Lead In Customer Satisfaction?